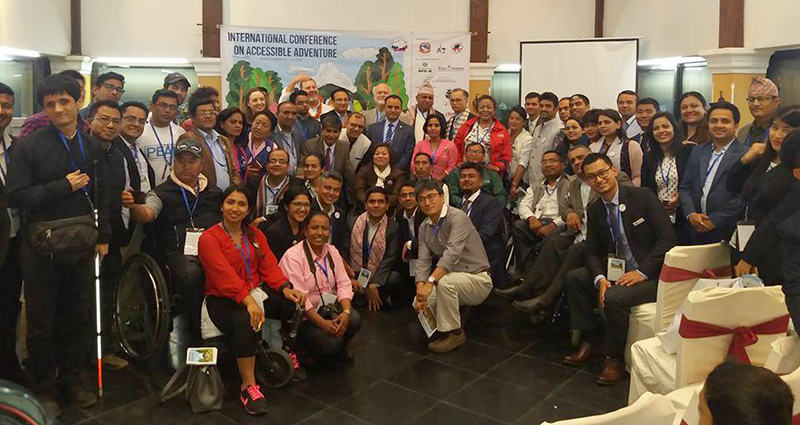 KATHMANDU, Mar 31: Approximately 100 participants from Asia, USA, Europe and Nepal attended the International Conference on Accessible Adventure 2018 on March 29, 2018 in Pokhara, Nepal. The three day conference will bring together international best practice in inclusive tourism for seniors and travellers with disabilities. The conference intends to lead to improved tourism infrastructure, facilities and services and provide new opportunities for people with mobility challenges for employment and experiencing Nepal’s tourism wonders. The discussions kicked off with panel led by former US Ambassador to Nepal Mr. Scott DeLisi. Participants heard from Renaud Meyer, UNDP Country Director, Deepak Joshi, CEO of Nepal Tourism Board, Mr Shaurav Sharma, Senior Program Manager of CBM and Mr M. Keivom, First Secretary of Indian Embassy, Head of Education Wing who discussed the alignment of accessible tourism with the Sustainable Development Goals. Inclusive tourism was identified as both a human rights issue and an opportunity for economic development in Nepal. Further lively discussions ensued about how to develop proper awareness throughout the business community of the significant worldwide demand for the accessible adventure experience, and how Nepal can capitalize on this market to diversify its tourism industry. 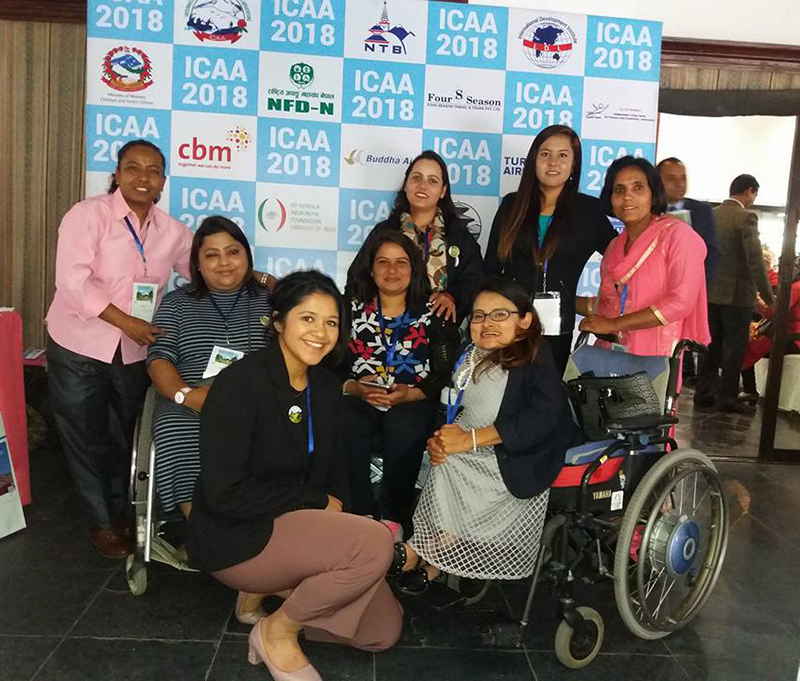 Participants will also hear from a range of local and international experts on a range of topics around the accessibility needs of travellers with limited mobility and the challenges specific to Nepal. The final day of the conference will see the inauguration of Nepal’s very first accessible trekking trail. Mr. Deepak Raj Joshi, CEO, NTB says 'Development of accessible trail and the organization of the conference will open Nepal to people with limited mobility. Nepal is dream destination to all irrespective of physical condition they are living with'. He requested all to partner on NTB's effort to promote country far and wide. The conference has been organised by Nepal Tourism Board and US based International Development Institute.